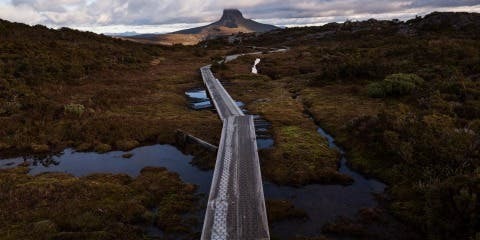 10 expert tips for your long distance bushwalking challenge in Australia. From the team at Paddy Pallin we’ve got tips to cover all aspects of the Oxfam Trailwalker both on and off the trail! For a long distance walk – you’ll want to ensure you’ve got the right gear, and the gear that suits you and your individual needs. 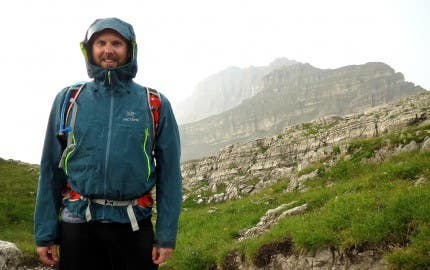 We’re lucky enough in the outdoor industry to have a wealth of gear that’s engineered for specific pursuits, body types, experience and styles. We encourage you to make sure you’re laced up in the right walking shoes (learn how to choose the best footwear here), have enough spare socks for warm, dry, and hopefully blister-free feet, pack warm, lightweight jackets and rain gear (learn more about water proof fabrics here), pick your perfect hydration systems and size up for the right trekking poles. Trekking poles – if you want to learn more about trekking poles, whether you need them, and how to choose the right ones for you, head to our article here. For a the top 10 Gear Tips from Paddy Pallin, click here! 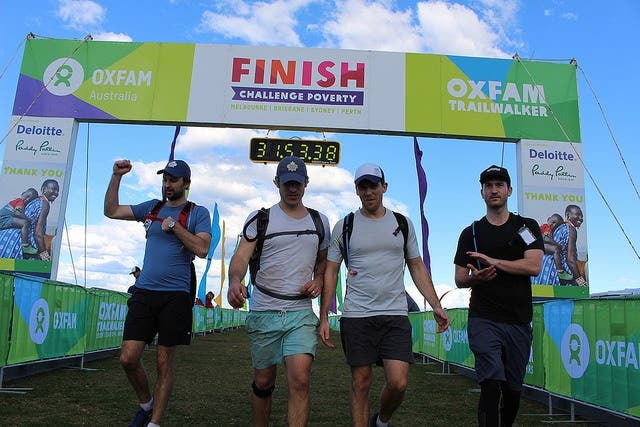 As important as it is to have the right gear to ensure the best experience on the Oxfam Trailwalker – that gear might do you more harm than good if you have not broken it in properly. To avoid chafing, blisters, and general discomfort, make sure all of the gear you will use to tackle the Trailwalker has been tried and tested in your training sessions. Even those spare pairs of socks and backup pair of walking shoes should be broken into. Identify hot spots and potential blister/chafing areas and ensure you’ve got the right supplies to tend to them should they become apparent on your walk. 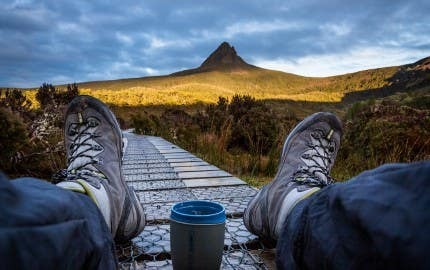 Have a look at our blog for more information on how to prevent blisters during your adventure, and equally important, how to treat and manage blisters. The more light you have, the bigger your world will be in those dark hours of the Trailwalker. 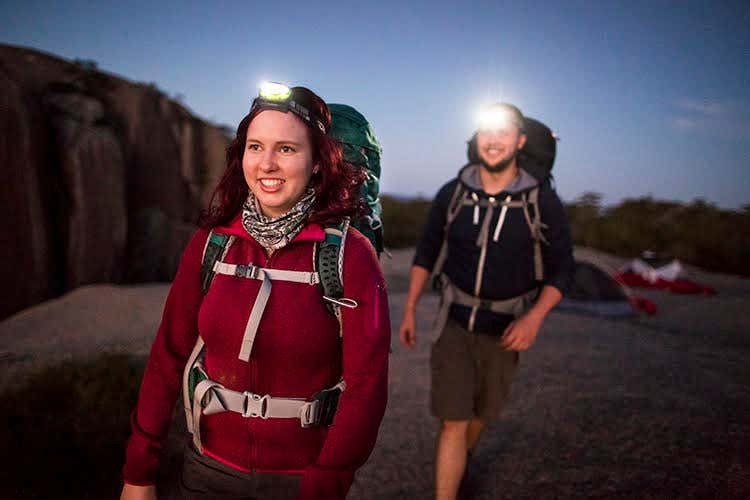 Consider upping the lumens when it comes to headlamp to ensure your range is further, and your world is brighter when taking on this challenge. It can boost morale, increase safety, and allow you to better prepare yourself for the terrain ahead. Nothing’s worse than tripping on a root you didn’t see, or missing a turn because your field of vision was narrow. Moreover, check the weather – you might be in need of a waterproof head torch! A top performer is the Black Diamond Storm 350 Lumen Headlamp. This features a redesigned lighting profile which offers improved peripheral lighting for close-range activities like map reading or sorting gear. Don’t forget spare batteries or other charging options! Your body is going to need all the help it can get to cross that finish line, and and it’s important to make sure it’s properly fuelled. To do so, ensure you have the right balance of carbohydrates, protein, and other nutrients before, during, and after your long distance walk. Carbohydrates are the preferred source of fuel, and are critical to have plenty of when participating in high intensity sports. 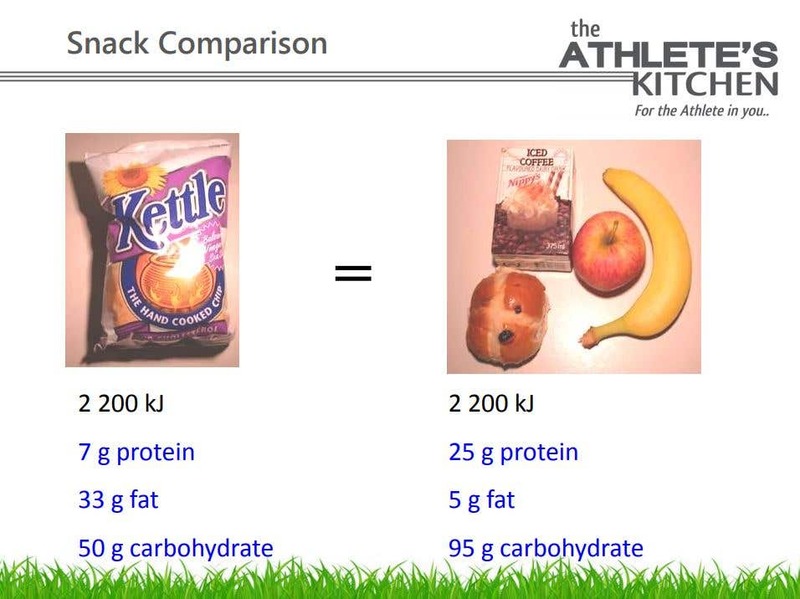 Carbohydrate stores are used very quickly and must be constantly replaced – keeping in mind that low levels of carbohydrate stores will lead to fatigue and ultimately, poor performance. Healthy carbohydrates to incorporate into your diet when taking on such an activity include: breads and cereals, rice, pasta, noodles, cous-cous, starchy vegetables like sweet potato, potato, and corn, fruit, muesli bars such as Clif Bars, and crackers. Proteins complement these carbohydrates, as they are the building blocks of muscle and they repair and replace damaged cells. Protein can be sourced through lean meat (including red meat, white meat, and fish), dairy, legumes and lentils, eggs, as well as nuts and seeds. It’s important to note that proteins are often associated with high fat contents, so make sure to watch out for excess portions of meat, and choose low fat dairy when possible. The body also requires certain amounts of fat to provide insulation and protection for the body and its organs, for a healthy immune system, for hormone production, and to absorb fat-soluble vitamins (A, D, E, K). Although important for overall health, fats are not the body’s preferred fuel source in high intensity activity. Keeping fatty foods as occasional treats but not every day foods will help achieve an overall balance in our diets. 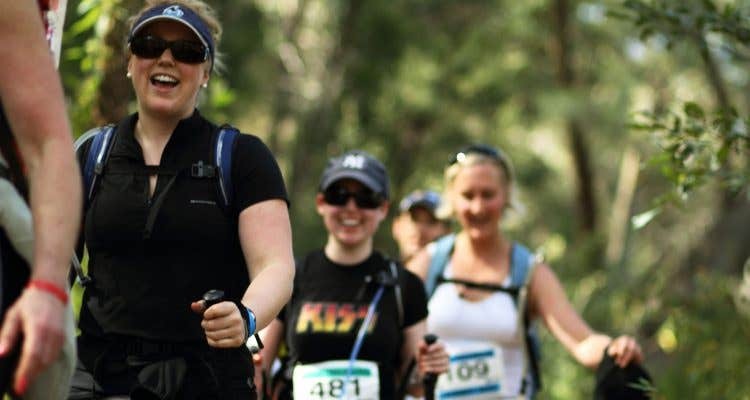 When Trailwalker day pops up in your calendar, here are a few tips to guide your eating leading up to the event as well as during the walk. Consume 7-12 g CHO/kg of your body weight/day for 2-3 days before event, and taper exercise. The night before, ensure you have a meal packed with extra carbohydrates, as well as plenty of fluids. On the day of, ensure your last proper meal is about 3-4 hours before you start. This meal should be easy to digest, high in carbohydrates, low in fat, be accompanied by adequate fluid, and should be familiar and enjoyable! Following this, we recommend a light snack 1-2 hours before you square up with the starting line! On the trail, beginner to intermediate participants should eat roughly every three hours. Meal suggestions include: sandwiches, rolls, wraps, noodle soups, rice, and pasta. Snack suggestions include: fruit, pikelets, muesli bars, fruit loaf, crackers, pretzels. 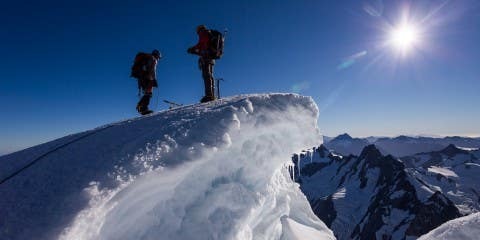 With that being said, if you weigh 60kg, you should consider eating 60g of carbohydrates per hour on the trail. You might also find sports drinks and gels helpful to avoid abdominal discomfort. All of these eating practices must be tested in training to ensure they are right for you. These guidelines are general, and should be tailored to your own needs! One solid piece of advice we can give you is to have a plan – know what you will eat and when you will eat it. Not only will this ensure you have the right amount of fuel to launch you across that finish line, you will have something to look forward to that will keep you going! The above dietary information has been provided by Dietitians Zoe Watt, Emilie Isles and Rebecca Hay at The Athlete’s Kitchen. It may seem like common sense, but we will say it again: full hydration is vital for optimal performance. Sweat loss during exercise can cause a rise in body temperature and impaired cardiovascular function. 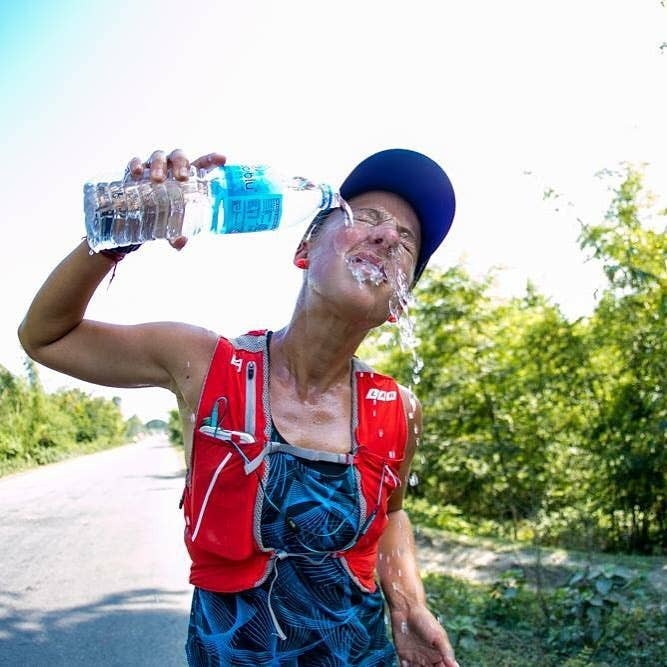 After many years of Trailwalkers, we can confirm the negative effects that are seen on performance at all levels of dehydrations. Signs to watch out for include weight, urine colour, and obviously, thirst. Other symptoms including tiredness, lethargy, and difficulty concentrating can be attributed to dehydration. Dehydration can reduce mental function and can contribute to difficulty in decision making, impaired motor skills, and decreased muscle endurance. Pro tip! You can also be over-hydrated, believe it or not! Hyponatremia, as they call it, can cause confusion, disorientation, and even coma! It is caused simply by drinking too much fluid. Plan ahead, ensure you’ve got enough fluid! For everyone looking to get started on their strength training journey, here are a few tips and exercises to get you started. Please remember that there is no recipe and everyone will be starting somewhere different. Moreover, if you are a beginner or have an injury, it is always best to get a qualified health professional to help you get started. Frequency: Studies have shown benefit for training strength as low as x2 per week. With that being said – this is the best place to start for a beginner. Think about setting this around your aerobic training days so that your body has adequate time to recover and adapt. It is recommended to start with 3 sets of 12 to begin with, making sure you work consistently with very good technique whilst achieving a modest level of fatigue at the end of each set. The above information has been kindly provided by Physiotherapist Michael C. from Balmain Sports Medicine. When discussing injury prevention strategies, most if not all of the work should be done prior to an event. This includes adequate training to support strength and aerobic fitness. It also includes correct recovery and nutrition leading up to an event. However we do know that static stretching has a short term benefit in increasing muscles flexibility. Therefore it probably has some benefit to be done during an event, especially if you begin to feel tightness or cramping within an area. This in combination of adequate hydration and nutrition can help you perform at your peak during whilst tackling a trail. Long distance walking experts at Paddy Pallin strongly recommend that in your training, you walk at least half of the total distance in one training session. 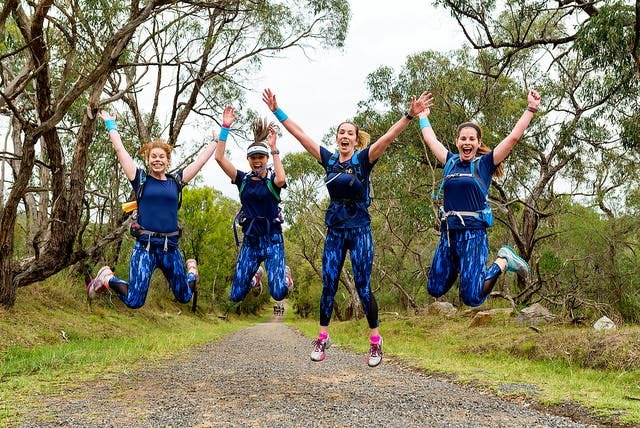 We see far too many people train for the 100km walk, having done a whole heap of 20 km and 30 km training walks, but never having trained to that 50 km mark. When you walk to at least the half way point, your body will have a benchmark of what it can expect to feel, and you can adequately prepare for what you will need to do it all over again. You can better gauge food and water levels, how many spare pairs of equipment you will need, what you will need your support crew to have, etc! Once you know how to get through the first half, you’ll be able to better prepare yourself physically and mentally for the whole race! 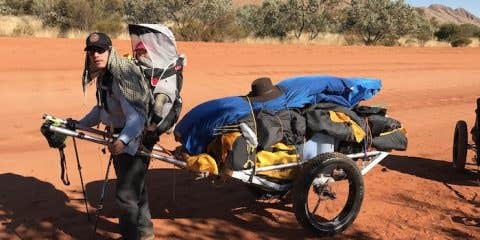 After having had the pleasure to attend, participate, and volunteer at a number of Trailwalker events all over Australia, our Paddy Pallin staff urge you to get up and check the temperatures in the early morning/late at night and see how you are during those colder hours, and what gear you will need to be comfortable walking at that time. We can’t tell you how many walkers have come to volunteers in the colder hours looking for gloves and other warm gear. So – set those alarms, fold back your doona, and hop outside for some training to ensure you’ve got what you need for the walk! 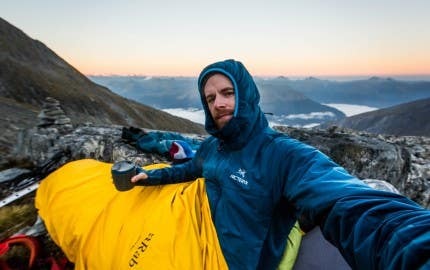 Easy, lightweight kit additions to keep you warm can include gloves, beanies, versatile neckwear, and lightweight, packable jackets such as the Patagonia Micro Puff vest, jacket, and hoody. 10. Stay mentally active and make it FUN! Many first-time walkers (and walkers who are taking the leap from the 50 km to 100 km walk) may never have walked that far before in one go. With that being said, it will be important to stay mentally active and entertained throughout the duration of the walk! We’ll be the first to tell you, conversation topics fade surprisingly quickly when you’re surrounded by the same people for hours on end. We suggest that with your team you have a think about some word association games, stories to recount, and other conversation topics to keep your minds moving while your legs carry you along! One way to pass the time in your teams is for everyone to come prepared knowing the lyrics and the tune to a song, and singing it all together until everyone picks up on the whole tune! For a longer game, play around with music genres or eras. Have each team member come prepped with a song from the 70s, 80s, 90s and 2000s! 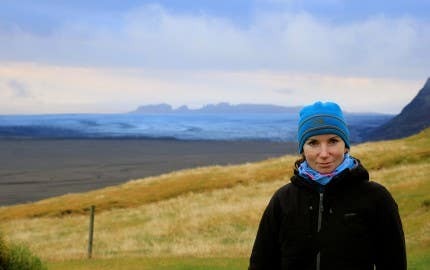 Have any pro tips for long distance walks that work well for you and your adventure crew? Share your photos on Facebook and Instagram using the hashtags #ExperienceIsEverything and #PaddyPallin or tag us @paddy_pallin.